Since Morania decided to quit and almost none of our writers posts much, I want one or two new writers. If you are interested, please fill the form below and post it in a comment or in my guestbook. Yes, many. SD Hell, Stardoll side, etc. I can post daily or if not every 3-5 days. How often I'll post; Every day, maybe if I'm busy every two days. How often I will post: Whenever I feel its necessary. If I see something interesting I will post it. Age: 13. <3 nearly 14. Prevouisly worked on blog: Am currently working on Stardoll Gossip, Detective Stardoll and am running my own blog Stardoll News and Views. How often I will post: Usually daily, as I log on near enough everyday. If not, then every 2 days. I will tell you in advance if I can't post over a certain period of time. 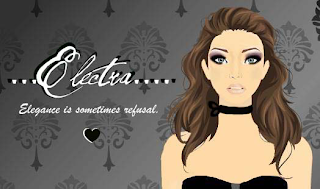 Well I have my own blog ,Stardoll World 990, and I probably be the new writer of Colossal Magazine. I will post daily,like in my Blog.I will post many things each day. When I'm bored, I make tutorials. Je t' aime Pretty In Pink!